Bernie Mac is no more but his quick and witty humor and unique brand of comedy made him a distinct actor and comedian we won’t forget in a hurry. The Bernie Mac Show ruled the world of American sitcoms from the year 2001 when the first episode began airing until 2006. Mac is definitely one guy everyone who loves comedy will miss. Find out below, the events of his life as well as what led up to his demise. Born in Illinois in the city of Chicago on the 5th of October 1957, with the name, Bernard Jeffrey McCullough. He grew up in a large family headed by Jeffrey and his wife Mary McCullough. Mac is the second child. His daddy died of Cancer when he was just a teenager and was thereafter raised by his mother. However, Bernie Mac’s acumen for comedy began when as a little boy of eight he started to do standup routines at church. Bennie attended Chicago Vocational high school in 1973 but moved to Tampa, Florida after his father died to continue his education in Jesuit High School. Records have it that he, however, graduated in his former school, Chicago Vocational high school in 1975. As far back as 1977, Bernie, whose childhood and early adult life was marked by abject poverty picked up all manner of odd jobs ranging from being a Janitor, cook, a delivery man for Sears and equally as a UPS agent. The list is endless but in addition, he did standup comedy in the Chicago Subway to make a few bucks. He later started up his own weekly gig at the Regal Theatre and became a member of the Comedy club circuit. The upcoming comedian soon found himself in acting business when he played a role in the comedy flick Mo’Money in 1992. Bernie Mac featured in Friday in 1995 and was a regular face in Def Comedy Jam in the 90s. However, it wasn’t until the year 2000 after starring in a Spike Lee’s Original King of Comedy that the comedian turned actor was able to carve out his own niche in the world of comedy. In 2001, The Bernie Mac Show hit the screen on Fox TV. The show which won an Emmy and Golden Globe nominations spanned 6 successful years. Mac’s career received a major boost as he starred in Steven Soderbergh’s Ocean’s Eleven alongside established movie stars like George Clooney and Brad Pitt. Thereafter, he went ahead to feature in the following movies Head of State (2001), Charlie’s Angels: Full Throttle (2003), he co-directed with John Ritter in the Bad Santa in 2003. He got himself a starring role in Mr. 3000 (2004), Guess Who? (2005). He also reappeared in a sequel of the Ocean’s Eleven movies Ocean’s Twelve in 2004 and Ocean’s Thirteen (2007). Besides acting and comedy, Bennie also wrote two books, I Ain’t Scared of You: Bernie Mac on How Life is (2001) and Maybe You Never Cry again in 2003. The 6 ft 3 inches tall man earned $300,000 on every episode of Bernie Mac Show which ran from 2001 to 2006. He also owns a two-story custom home in Frankfort worth $875,000. Bennie married his high school darling and girlfriend, Rhonda Gore very early in life on September 17, 1977, at the age of 19. He recalled how his wife stood by him through the thick and thin of his career with her loyalty and support through the long hard years of his budding career in show business. The couple had a daughter named Je’Niece. Je’Niece was born a year after Bernie and Rhonda married in 1978, she is a graduate of Psychology and she also bagged a master’s degree in Mental Health Counseling from Xavier University of Louisiana. She married Childress III in 2003 but her marriage packed up almost the same time she lost her father, She is a social worker, a life coach, public speaker, blogger who writes to encourage people going through tough times. Bernie Mac’s former widow finally moved on with life in 2010 new year eve, when she took her forever vow for the second time with Horace Gilmore. Horace Gilmore was a widower, he was introduced to Rhonda by her younger sister, Charoni Gibbs in February 2009 and they connected emotionally instantly. How and When did Bernie Mac Die? Three years before the comedian died, he revealed that he had been diagnosed with Sarcoidosis, a disease that is accompanied by inflammation of the lung tissues. He was admitted in the Northwestern Memorial Hospital in 2008 in Chicago. He went into cardiac arrest two weeks later and died in the early hours of 9th of August 2008 with his wife present. The autopsy conducted showed the veteran actor and humor merchant died of Pneumonia at the age of 50. He left his wife, daughter, and granddaughter and was buried a week after he kicked the bucket. The funeral ceremony was held at the House of Hope Church in Chicago with over 7000 people in attendance including his colleagues from the entertainment industry like Steve Harvey, Chris Rock among others. The remains of one of American foremost actor and Kings of Comedy was finally committed to mother earth at the Washington Memorial Gardens, Homewood, Cook County, Illinois, in the United States. Although the remains of the amiable comedian have been laid to rest, the circumstances surrounding his untimely death was contested in a $50,000 lawsuit filed by his then widow Rhonda Gore McCullough, against Dr. Rene M. Earles, who attended to Bernie Mac, when he had earlier visited his clinic in July 2008. She was suing him for not expediting actions and not recognizing vital signs of the ailing actor, in order for him to have been urgently treated. Chicago’s Mayor Rahm Emmanuel in honor of the late actor and comedian declared November 14th as Bernie Mac Day. He was posthumously named 41st of the Best 50 Stand-up Comics of All Time on February 14, 2017, by Rolling Stones, and he was also among the people honored in 2018 in the Hollywood walk of fame. 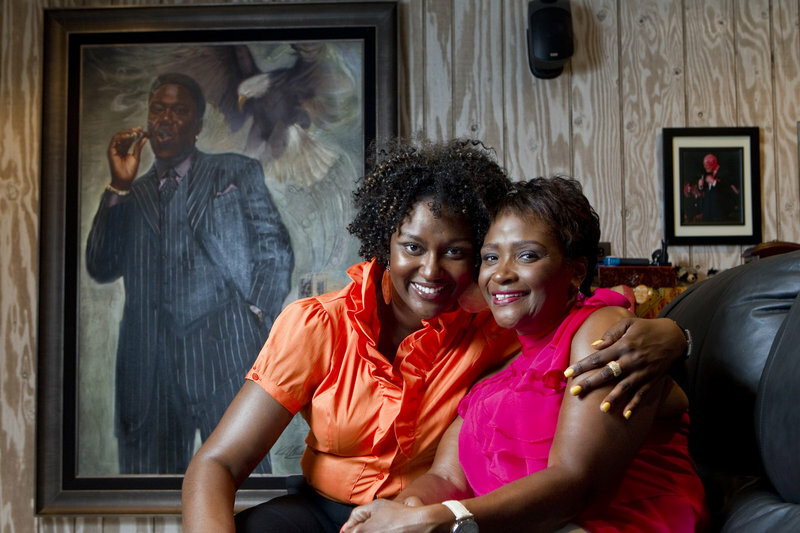 Bernie also has a foundation established in his name the Bernie Mac Foundation, which was set up to help support people with sarcoidosis, his wife Rhonda is the CEO and president while his daughter was the Vice President of the foundation for a year.